Hey everyone! We’ve had a few people reporting flooded units, and upon examination, the Gore-Tex vent material has been punched out by a sharp object. The vent hole on the bottom of the Xensr Air is for the pressure sensor – IT IS NOT A RESET SWITCH. 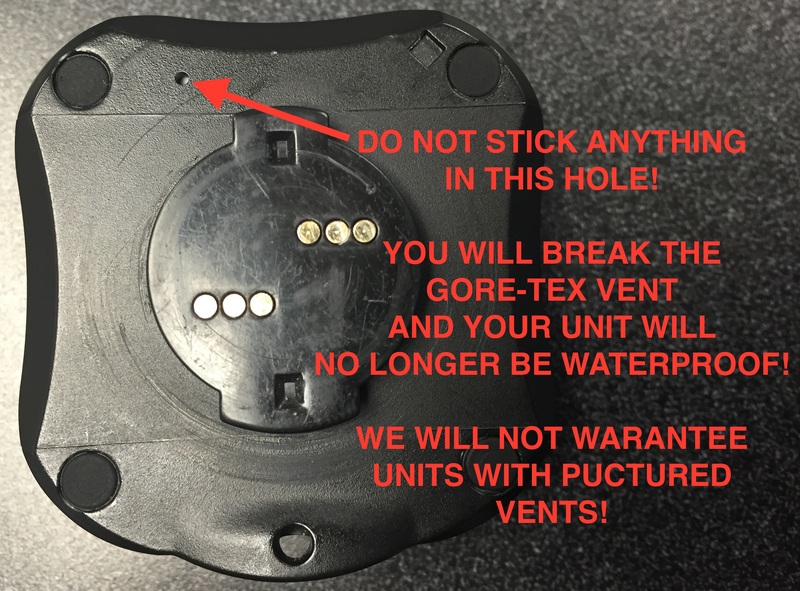 DO NOT STICK ANYTHING INTO THE HOLE AS YOU WILL PUNCTURE THE VENT MATERIAL AND YOUR UNIT WILL NO LONGER BE WATERPROOF.